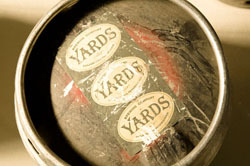 Come tour the Yards Brewery with your fellow alums. The tour starts at 4PM, and will be followed by appetizers, an optional beer tasting (beer-tasting ticket type), and fun. 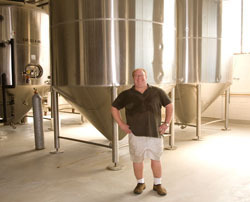 The interesting story from the Yards Web site tells us that “in 1988, two cash-strapped collegiate wrestlers realized that they could sustain their thirst for quality beer without spending their modest savings at the local liquor store by brewing beer themselves. As they made their way through college they continued to experiment with homebrewing and formulating new recipes. Proud of their product, they were eager to share it with friends. An instant favorite, it wasn't long until their modest homebrewing operation wasn't enough to satisfy the growing demand. 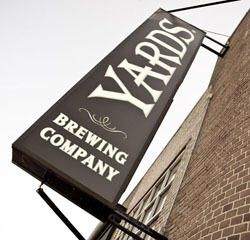 In 1994, they founded Yards Brewing Company.” After expanding and moving twice, Yards makes several specialty brews, including “Ales of the Revolution, a line of historic beer recreations based on the original recipes of George Washington, Thomas Jefferson, and Ben Franklin.” You can read the full story on the Yards Brewery Web site. ** Young Adults drinking beer -- bring your IDs!